Took this image tonight (29 June 11) of Douglas Head whilst on the Ben My Chree which was turning in Douglas Harbour. 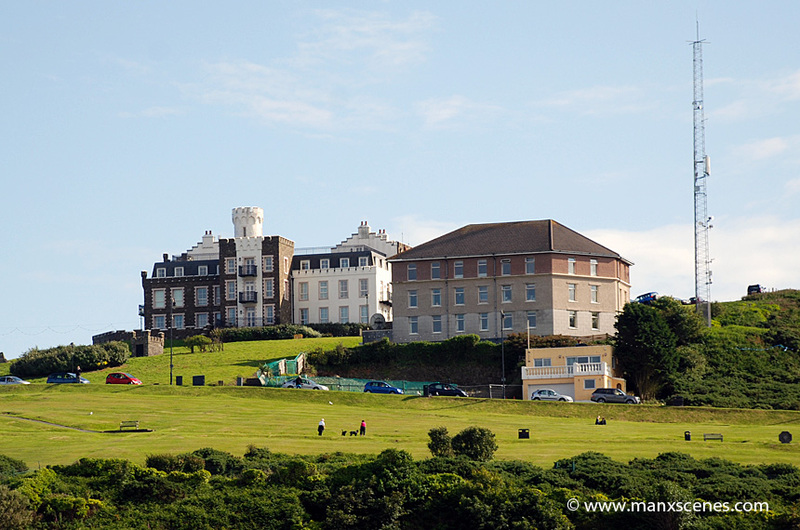 The building to the left top of image is the former Douglas Head Hotel which is now Douglas Head Apartments, the building on the right is Broadcasting House, which is better known as the building that houses Manx Radio. The image was taken on my Nikon D80 SLR with a Nikon 18-135 F3.5/5.6 G AFS DX lens at 85mm and cropped in Adobe Photoshop CS5.